The day after The Red Thread was splashed, we found ourselves licking wounds of disappointment after learning that Neil’s best friend, Arjay, and his wife, who had flown from Boston to spend a week with us, had been booted out of Costa Rica as soon as their feet touched the ground in San Jose. After a full day of travel, they had been ushered back to the US on the first available flight as a result of a new technicality related to visas and green cards. Our friends were jetlagged and devastated, and we were extremely disappointed and aggravated by the bureaucracy of it all. 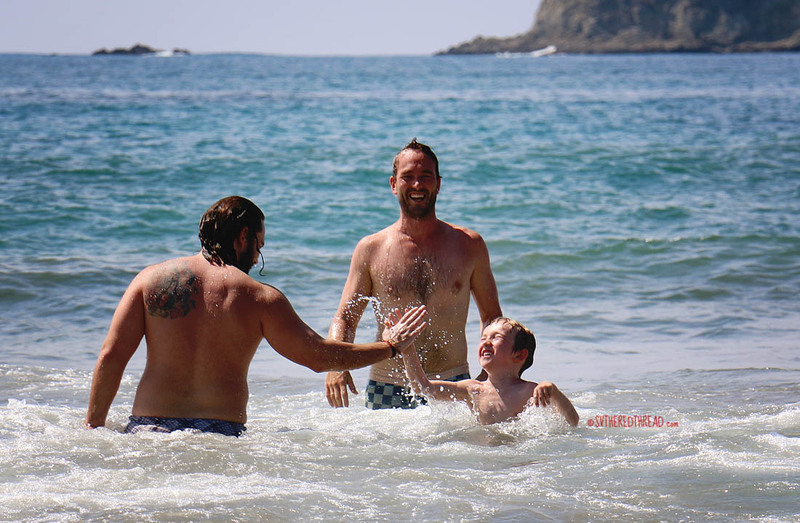 Some of the time we expected to spend with old friends was spent with our new ones. 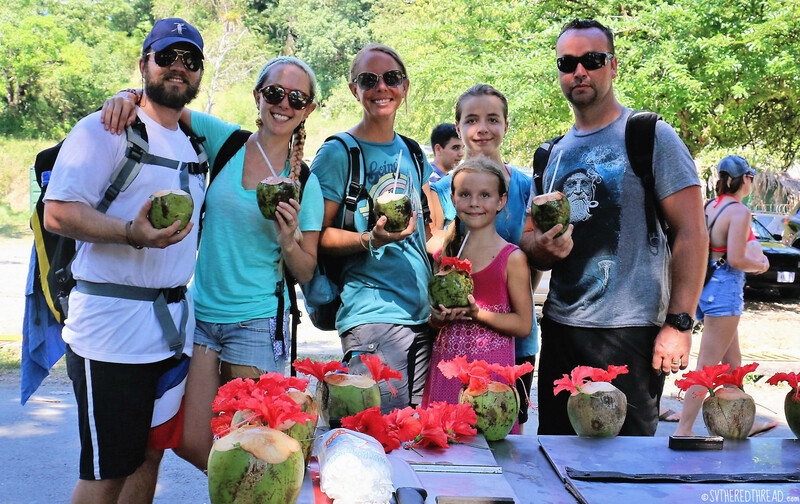 We invited our Danish pals to join us for a jaunt aboard to Roca Bajo, one of our favorite anchorages just a couple miles from Marina Pez Vela. 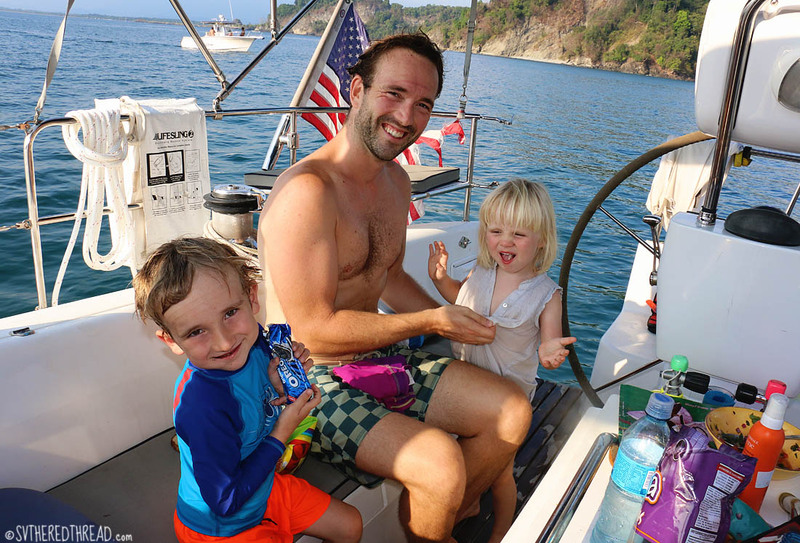 We were itching to get out of the marina and needed to drop the anchor and test the windlass, which was a viable excuse to enjoy an afternoon on the hook, rather than tending to other boat projects and feeling self-pity about missing time with Arjay and Elena. 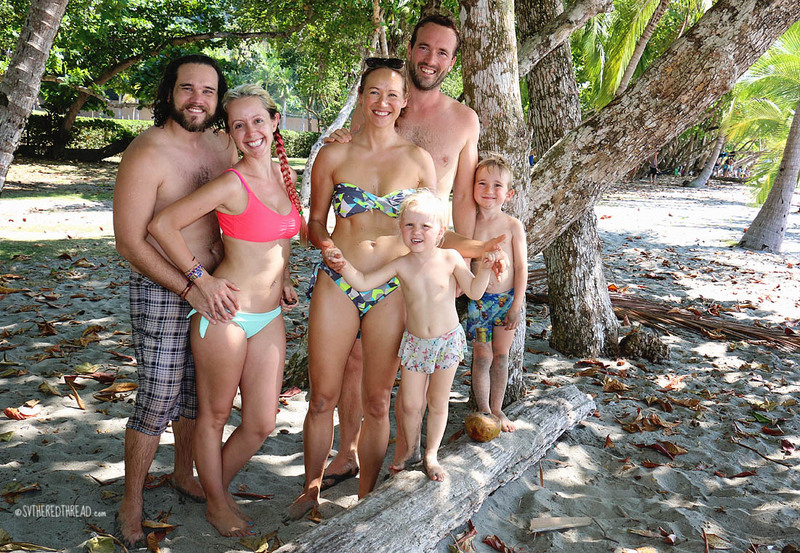 Snorkeling, standup paddle boarding, swimming, and lazing about in the sun were great fun! 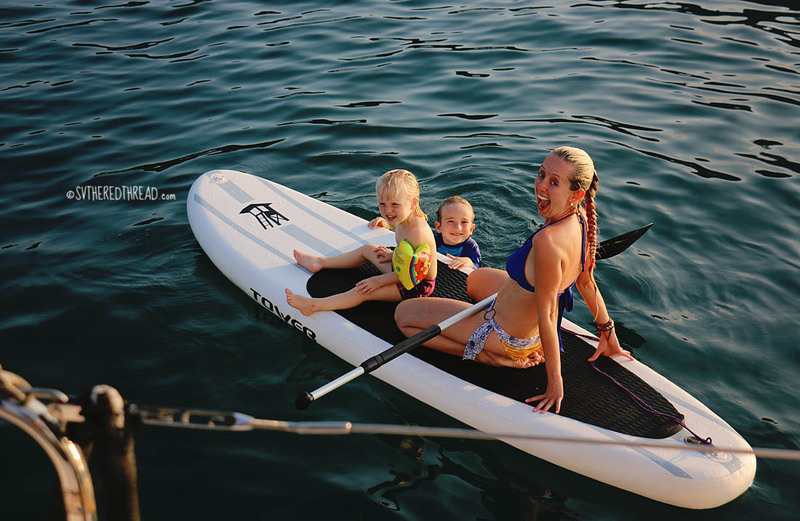 Four-year-old Gustav proved himself to be a capable and daring pint-size paddle boarder, while 2-year-old water-wing-wearing Ella flung herself gleefully in-and-out of the water until her sun-kissed cheeks collapsed down below for nap. At sunset, we motored back to our slip and cooked an enormous meal, complete with fresh yellowfin tuna from our phenomenal dock neighbors on f/v Frenzy. A tremendous day ended with John and Laila offering their home to us when we eventually make it to Denmark. Enjoying a few hours free from dock lines and concrete revved our engines for the months ahead, and we were eager to retreat from the pricey clutches of a marina. We hastened our preparations to depart. After trudging through a few more days of boat projects and a very disappointing Seahawks loss in the NFC Championship game, we were finally ready to move. On January 20th, we untied our dock lines for the last time. The crew of f/v Frenzy waved us off, and new friends aboard f/v Ryan Lindy sent us with more fresh tuna. 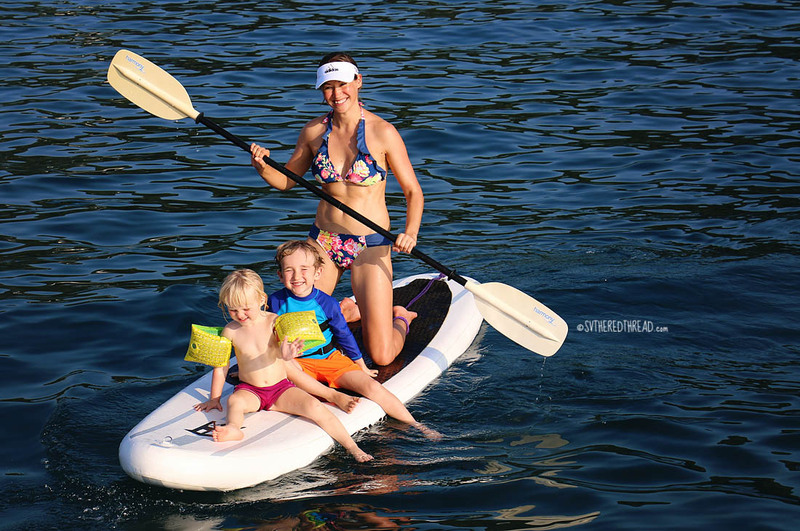 We would return to the marina three more times aboard our dinghy, Ms. Sassy, but for all intents and purposes, we were cruising once again! Our sophomore cruising season had officially begun! 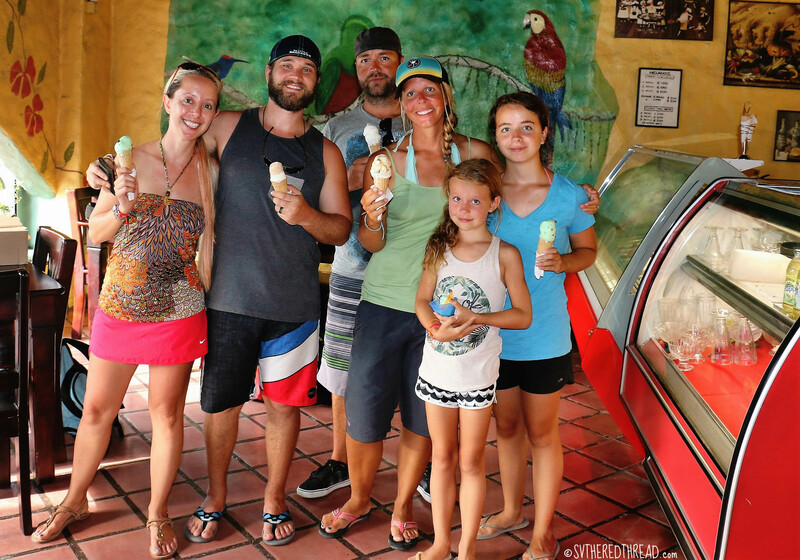 As luck would have it, our exodus from Marina Pez Vela coincided with the arrival of friends we met in Mazatlan in December 2014. Just hours before we dropped our hook at Roca Bajo, the crew of s/v Ohana had dropped theirs. 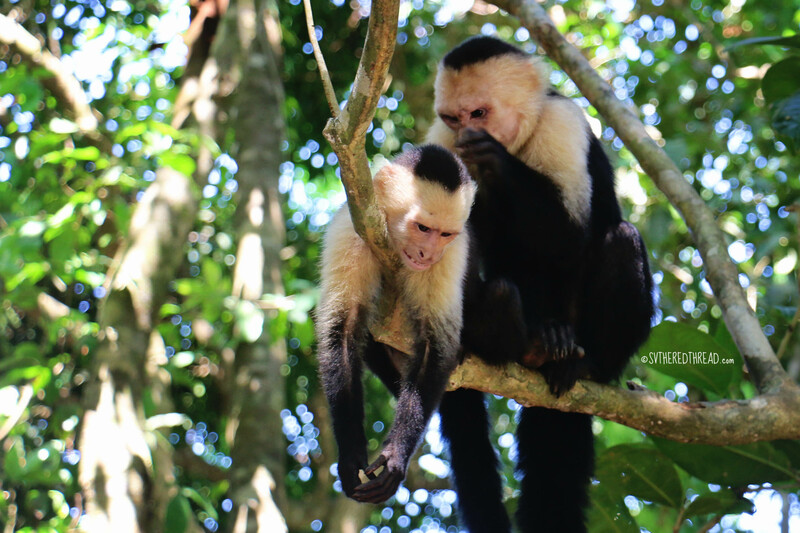 Their cruising season had begun two months prior in Chiapas, Mexico, nearly a thousand miles north. We’d hoped their path would coincide with ours before they hung a left toward the Caribbean, and we made a sharp right to cross the Pacific. Anchor set, we dinghied their way with a cold drink in tow, ready to celebrate our reunion and the sailing season was ahead! The next morning, the Ohanas found themselves in a bit of a predicament. In the wee hours of the morning, a nasty grinding sound had begun to echo up their anchor chain and through their hull; likely their chain grating on a rock. They tried to weigh anchor to move to a different spot in the anchorage, but their anchor was stuck on something and wouldn’t budge. Unfortunately, snorkeling attempts to discern the extent of the situation were futile. The water was uncharacteristically murky. 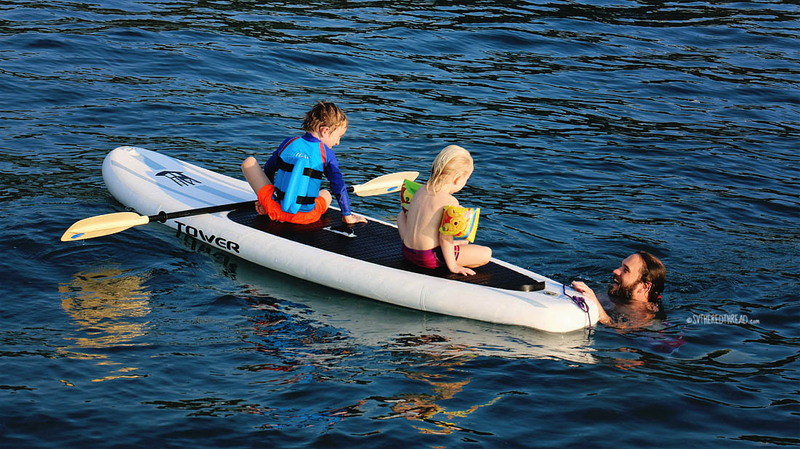 Neil donned his scuba gear and dove to assist. Hand-over-hand, he followed their anchor chain to the seabed. The visibility was so poor that he couldn’t see his hands in front of his face. He was notified that he’d reached the source of the problem when his mask smacked squarely against a behemoth hunk of metal! BONK! In the mostly sandy bottom was wedged a giant fisherman-style anchor, lost at some point in history. He couldn’t see the entirety of it in the murky water, but the shank was longer than the length of his fully outstretched arms. Enormous! Their chain had wrapped in a figure eight around the anchor, an impossible situation to rectify in the absence of a diver. Whew…! 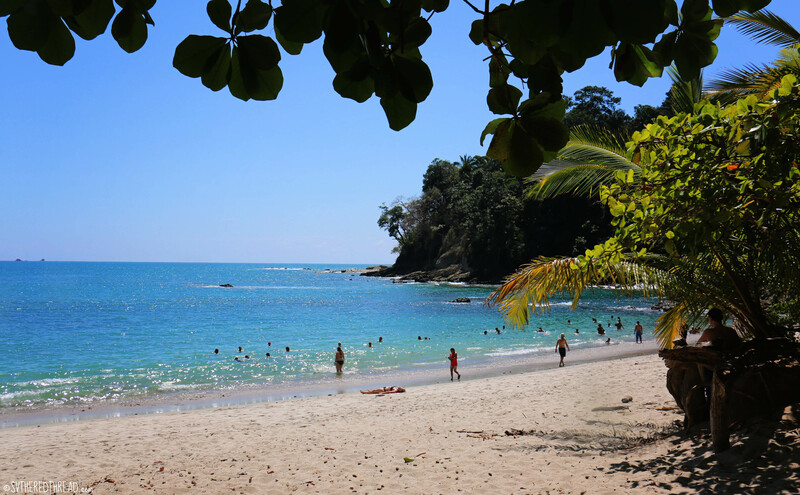 We spent the next two days tackling a few more projects; provisioning ashore; meeting our newest neighbors, Kenny and Betsy from s/v Alcione; and venturing to Manuel Antonio Parque Nacional with the Ohanas. 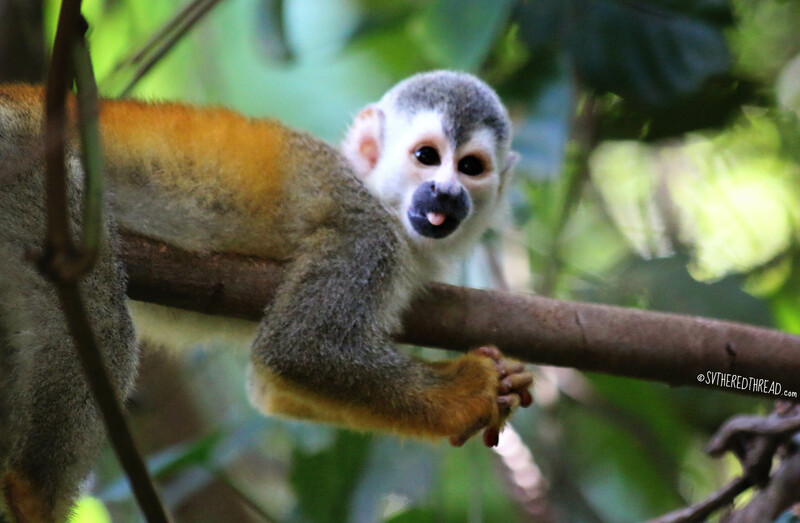 Although we’d visited Manuel Antonio when Mark and Helen visited in May, we couldn’t pass up the opportunity to experience again the treasure trove of biodiversity. 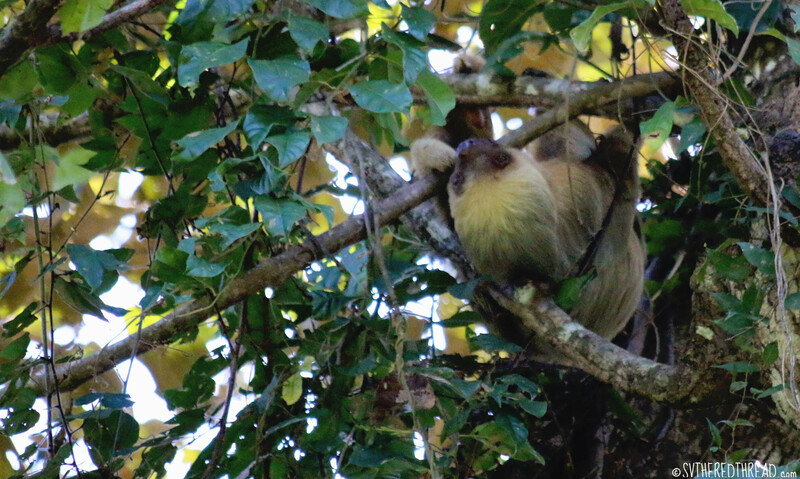 Sloths gnawed on leaves, while white-faced capuchin monkeys pilfered snacks from unsuspecting tourists. Birds flitted overhead, sending their songs echoing through the canopy. Sweat streamed down our cheeks and humidity clung to our clothes, as the jungle temperatures intensified toward midday peaks. 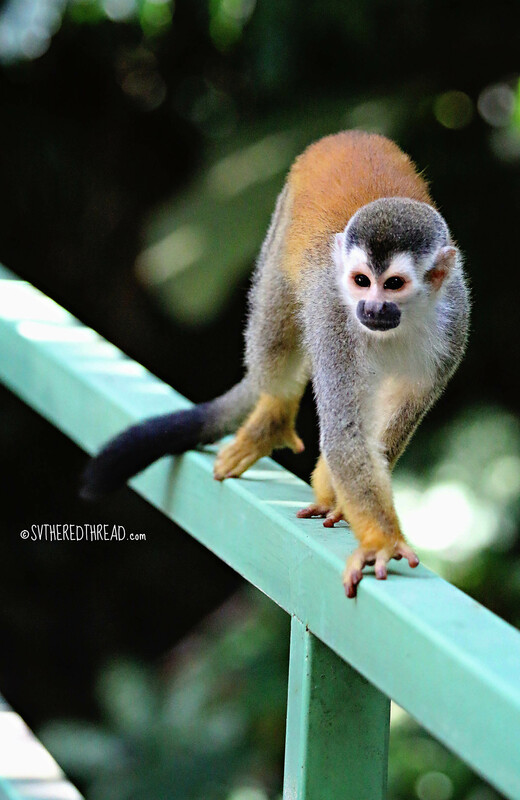 The plethora of endangered squirrel monkeys, also called “titis”, that leapt and played as we departed the park, were the highlight of our day! 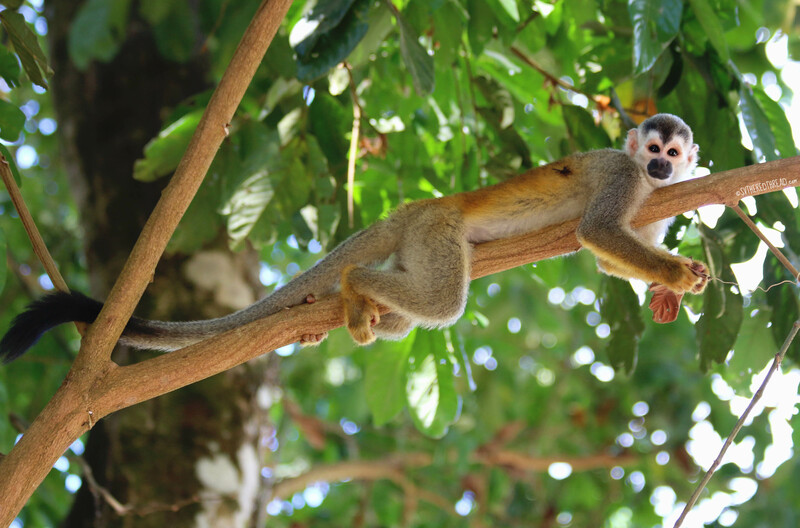 Titis are believed to be extinct in Panama, and their population in Costa Rica is tenuous, with just a few tens of thousands. That afternoon, however, their petite bodies leapt high in the trees, and their tiny toes tickled the earth. They were everywhere! 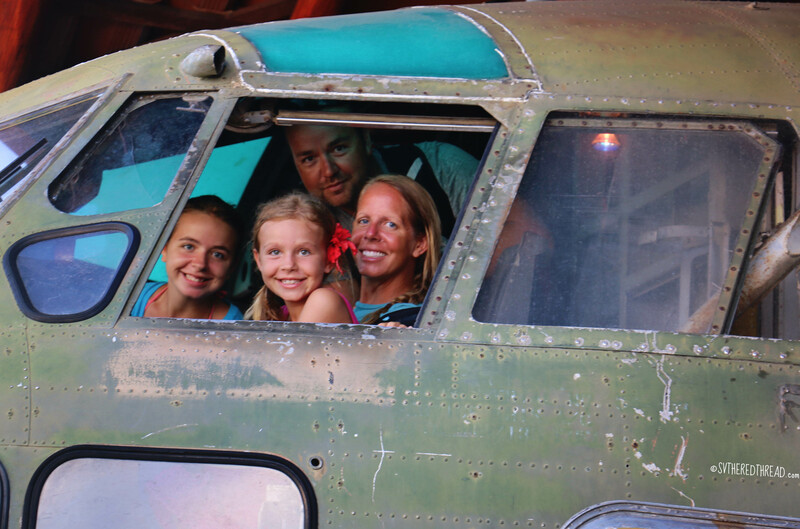 We capped off our afternoon with a lunch at El Avion, a one-of-a-kind clifftop restaurant built around a Fairchild C-123. 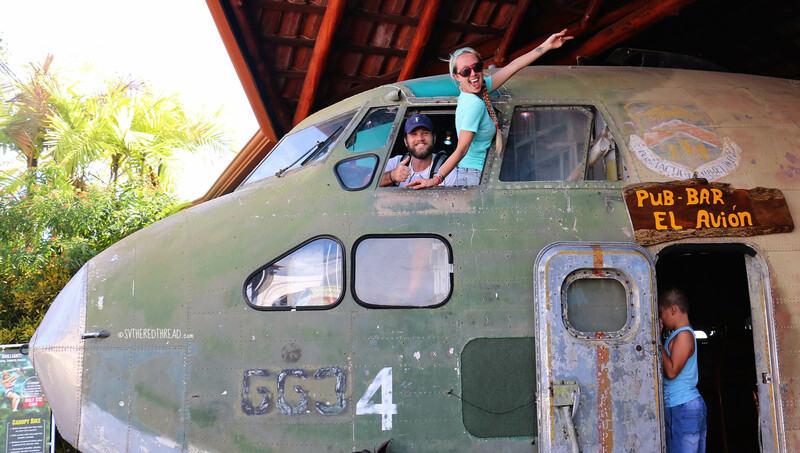 The plane was abandoned in Costa Rica during the American political scandal, the Iran-Contra Affair, and was relocated and resurrected as a restaurant overlooking the Pacific. Cold beers. An intriguing setting. Great friends. A damn good day. 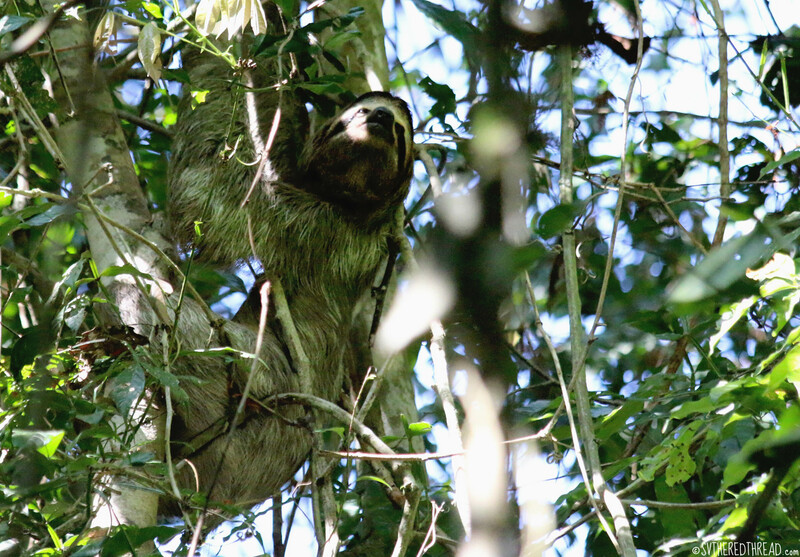 This entry was posted in By Jessie, Central America, Costa Rica, Friends and loved ones, South Pacific Stitch, Wildlife and tagged Brown-throated three-toed sloth, Hoffmann's two-toed sloth, Manuel Antonio Parque Nacional, Our favorite Danes, Roca Bajo, s/v Ohana, Titi monkeys. Bookmark the permalink. Fantastic post. Your pics are amazing. 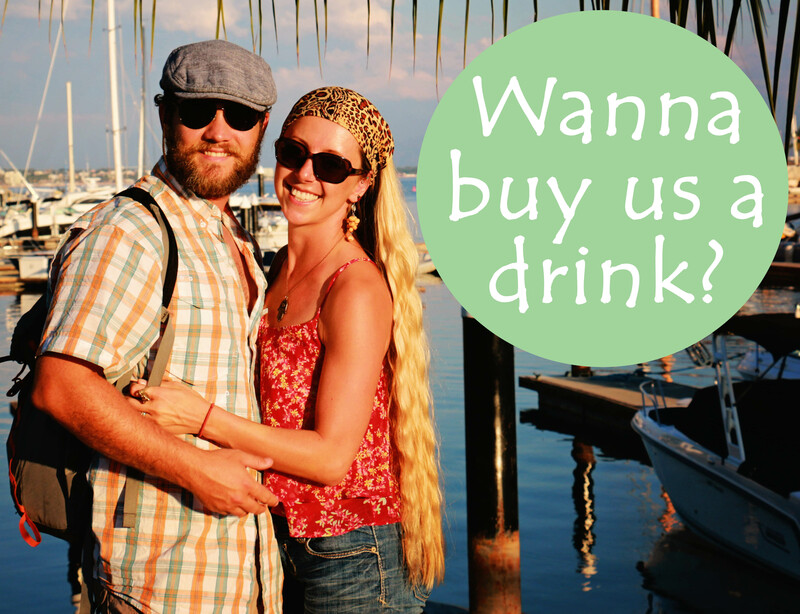 Costa Rico can be a nightmare for sailors and travelers. Its a Country full of crooks and red tape. There is the Tico price and the gringo price. Learned that the hard way when we needed a microwave oven. We paid $185.00 for a $40.00 Kmart microwave. A local told us his price would have been about $80.00. Watch your backs. Thanks for the very cool post card. Its framed hanging on a wall. You kids are great fun to follow. Sounds like some great adventures! But too bad about your friends! Awful when stuff like that happens. Even though we’ve been back for 5 months now I can still ‘feel’ our tour when I read your posts. It’s been great seeing friends and family again but I miss the life where you’re not driven by the clock but by your feelings and ‘the mood of the day’. I enjoy reading your posts and seeing your amazing pictures and videos.